AFTER 30 HOURS, MAGGIE WAS FOUND IN THE RUBBLE. 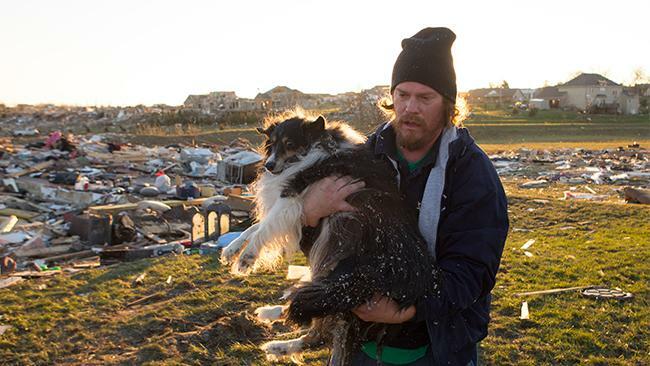 After the devastating storms in the Midwest, Jon Byler Dann’s dog Maggie was missing after their home was flattened by the tornado. According to weatherchannel.com, his family survived but their beloved dog Maggie could not be found. 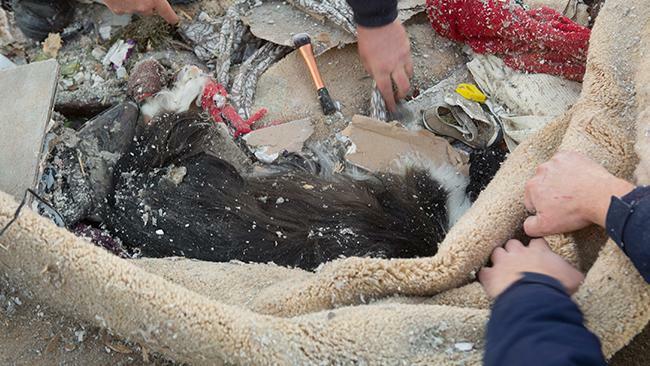 Nearly 30 hours later, Maggie was found buried in the rubble- alive but injured. She is currently being treated for a dislocated hip and respiratory issues at the Teegarden Veterinary Clinic in Washington, Illinois. World Vets spoke to the clinics’ owner Dr Michael Thomas earlier today and he indicated the Maggie is expected to recover. They are treating several animals injured in the tornado. Most heartbreaking is how many of their clients have pets that are still missing. World Vets has pledged financial support to Teegarden Veterinary Clinic to help pets like Maggie and pets belonging to owners who are in a hardship situation because of the tornado. World Vets is also responding to the Philippines typhoon where we currently have teams on the ground providing rescue and aid. When disaster happen in our country, we reach out to our network across the country and support those who are most able to provide immediate relief- the clinics and shelter already located in the area.